- Date: 01/2013, Seed: $1 M (post valuation: $8000000). - Date: 04/2010, Seed: $500 k (post valuation: $2500000). 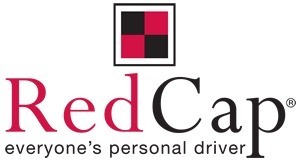 RedCap is a membership based consumer web company that delivers Personal Drivers to drive people in their own cars when they can't, shouldn't, or don't want to drive. Unlike Über, Lyft, ZipCar and others catering to those without vehicles, RedCap focuses on 90% of the US population that owns a car and live in areas where they use that vehicle. RedCap is a membership based mobile and consumer web company that delivers Personal Drivers to drive people in their own cars when they can't, shouldn't, or don't want to drive. Unlike Über, Lyft, ZipCar and other new market entrants that cater to those without vehicles, RedCap focuses on the 90% of the US population that owns a vehicle and live in areas where they need to use that vehicle. RedCap makes the lives of its members easier, safer, more convenient, and fun while saving time, money and lives. RedCap is more comfortable, flexible and affordable than traditional options and solves a significant unmet need that traditional options can't solve. Think self-driving car or full-time chauffeur and you will get an idea of what RedCap can do by delivering well-trained, courteous Personal Drivers at a fraction of the price. Best of all, services are offered one-way and roundtrip so the usage options are unlimited. Membership Based consumer web company offering access to well-trained courteous Personal Drivers for the 90% of the population that own vehicles but have times when they can't, shouldn't, or don't want to drive. RedCap services are more flexbile, comfortable, and affordable than all traditional options in the transportation space. RedCap monetizes trhough membership and transportation revenues. First mover, significant scalable technology, innovative business process that uses crowdsourcing and collaborative consumption to source its service providers. RedCap is an asset light transportation model and there are significant barriers to entry based on the teams acquired knowledge. RedCap was featured in a VatorNews article: "Zendrive raises $13.5M Series A for driving analytics"